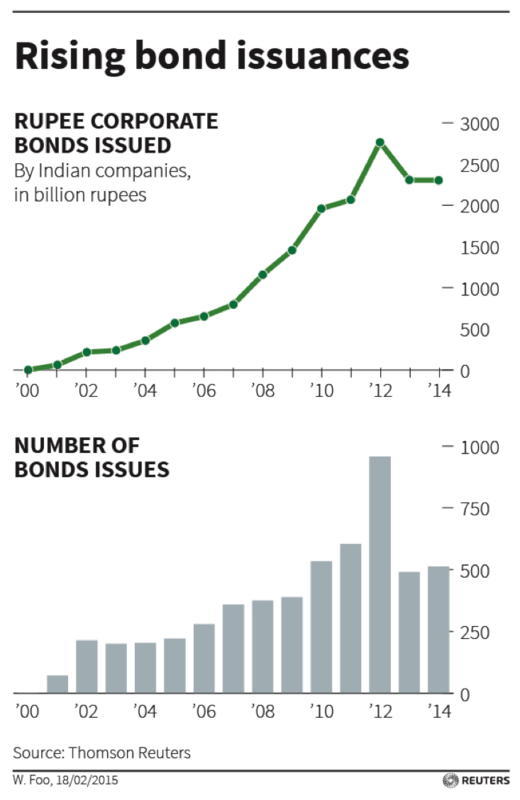 The Indian bond market is becoming increasingly attractive to investors seeking higher yields. In fact, although the Indian equity market was among the best performing in the world last year, foreign investors pumped about 33% more funds into rupee denominated bonds in 2014 than they did into the equity markets. “This is largely due to the fact that that most bond issues in India are rated investment grade and offer significantly higher yields,” says David Kunselman, senior portfolio manager with Excel Investment Counsel Inc. in Mississauga. 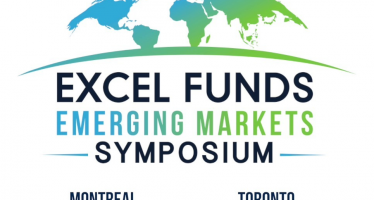 The Excel High Income Fund, sub-advised by Amundi Asset Management, is rated 5-star by Morningstar Canada. 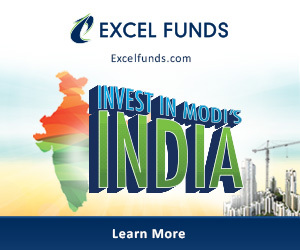 Excel also manages the Excel India Fund which is largest and longest-running India-focused mutual fund in Canada. The yield on 10-year Indian government bonds was 7.71% on February 24, 2015, down from a recent high of 9.1% on April 8, 2014, largely due to expectations of lower interest rates on the back of falling inflation. The majority of debt instruments in India are issued with a coupon in the range of 9% – 10%. 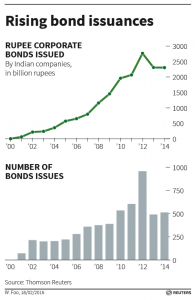 Historically, the Indian bond market was relatively underdeveloped but since the push to economic liberalization in the early 1990s, an increasing number of issuers have turned to the debt market to raise capital. There are currently some 230 debt issuers in India, among them sovereign, state level and public sector and private corporations. 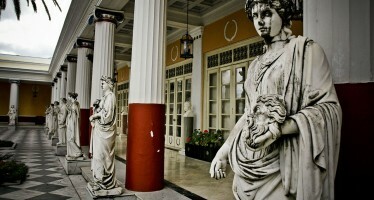 The majority of debt in terms of issues and value are issued are issued by the private sector. Incidentally, the private sector is expected to issue more corporate debt in 2015 to avoid more expensive bank financing. As a result, Indian corporate debt issuance this year is expected to surpass 2013 and 2014 levels, with a number of new issuers entering the market space. According to Thomson Reuters data, Indian firms have raised some 335.9 billion rupees through short- and long-term corporate debt in the first six weeks of this year, setting the stage for issuance to surpass the previous two years. Arguably, bank loans remain relatively expensive, although the Reserve Bank of India reduced its key policy rate last month to 7.75 percent from 8.00 percent. This is because the majority of the country’s commercial banks have not lowered their rates due to tight cash conditions. Currently, the average base rate at state run banks is 10.25 percent, which is 100-150 basis points higher than the Reuters 10-year benchmark corporate bond rate, which has fallen to 8.33 percent from 8.58 percent at the end of last year. Public debt issue is also on the rise, reaching 42,383 rupees crore in the fiscal 2013-14, the highest level on record. The value of overseas debt issues is also at a record level, reaching 65,312 rupees crore at the end of January 31 of the fiscal year 2014-15. Like most emerging markets, India primarily issued hard-currency debt, mostly in US dollars. However, in recent years the focus has shifted to rupee-denominated bonds. Incidentally, local currency debt reduces hard currency liabilities and exposure to foreign currency fluctuations; and lessens dependence on external debt. Countries like India now have stronger balance sheets, higher levels of foreign reserves and more stable currencies – enabling them to command more respect in the global bond market. As India’s growth accelerates on the back of massive reforms under the Modi administration, it is anticipated that debt will play a significant role in the country’s development, especially in infrastructure financing. As a result, the country’s bond market can only become larger and probably more attractive. Modi has made a positive impact. In fact six leading world powers today hailed India’s emergence as a major player at the global high table.  The BJP is doing a good job. With India allowing more companies to go public, reducing domestic bank ownership and strong government, I see growth for the years to come! same time as folks consider issues that they just don’t know about. You managed to hit the nail upon the top and also outlined out the whole thing with no need side effect , folks can take a signal. something entirely, but this paragraph gives good understanding yet.